Duo Andrej Ofak (guitar) & Borut Mori (accordion) are presenting their new CD, The Echoes of River Drava. The CD, recorded in one of the most acoustic churches in Europe, the Saint Pancras of Slovenj Gradec, preserves the genuine sound and the natural reverb. The fairy-tale-reminiscent pleasures of stories are told by the musicians through the instruments and uncovered while listening to this album/concert. The CD of Borut Mori and Andrej Ofak with the title The Echoes of Drava River has been proclaimed album of the year 2017 by Jazzetna. The CD of Borut Mori and Andrej Ofak with the title The Echoes of Drava River has been proclaimed album of the year 2017 by Jazzetna. Nina Novak has written that it offers the sensibility of intimate connection with ones own soul, trapped in the play of two inseparable instruments. 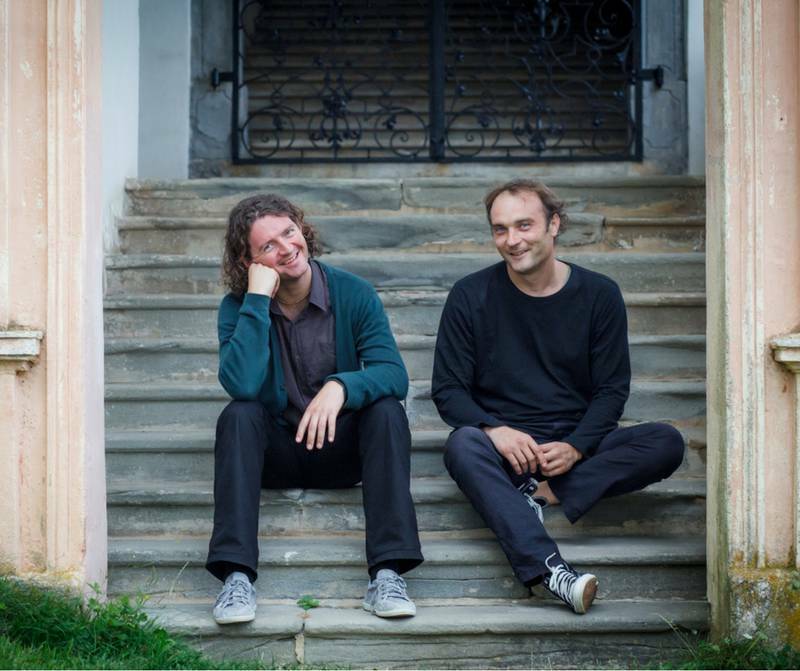 Duo Andrej Ofak (guitar) & Borut Mori (accordion) are presenting their new CD, The Echoes of River Drava, recorded in one of the most acoustic churches in Europe, the Saint Pancras of Slovenj Gradec, it preserves the genuine sound and the natural reverb. The fairy-tale-reminiscent pleasures of stories are told by the musicians through the instruments and uncovered while listening to this album. Their work is a mosaic of peacefulness, joy, connectivity and infinity. Though instrumental, the musical creations lead the audience to feel the stories of nature, friendship, love and distant worlds, brought closer by the beauty of music. Mori and Ofak have been jointly creating over the course of their friendship for many years, distinguishing their musical expression. The second CD with their authorship music is a piece of fruit having ripened for more than a decade. Influences from several cultures and musical dialects which marked their development can be felt. We are witnessing a mix of premeditated composition and hearty improvisation. Andrej Ofak and Borut Mori have been involved in music since their early childhood years. They are both academically educated and have earned their music degrees at the University of Music and Performing Arts in Graz.